kapillamba4 added a comment to D11203: Prevent grouping/duplicating notifications and fix "Open" button issue. I don't really understand how to reproduce the problem from your test plan. Could you add detailed steps to reproduce, so I can check how it works before and after your patch? Ideally in terms of Spectacle's command line arguments, which should be similar to the global shortcuts. kapillamba4 added a comment to D9117: Add shortcuts for copying screenshots to clipboard. In that case it would be best to create a new Diff entirely. Also, please don't add a checkbox to Spectacle. As I wrote above, the official way to configure this is via the existing button on the notification (which opens the respective KCM). kapillamba4 updated the diff for D9117: Add shortcuts for copying screenshots to clipboard. kapillamba4 updated the diff for D11203: Prevent grouping/duplicating notifications and fix "Open" button issue. kapillamba4 updated the summary of D11203: Prevent grouping/duplicating notifications and fix "Open" button issue. kapillamba4 added a project to D11203: Prevent grouping/duplicating notifications and fix "Open" button issue: Spectacle. kapillamba4 requested review of D11203: Prevent grouping/duplicating notifications and fix "Open" button issue. As for the update mechanism, I found https://forum.kde.org/viewtopic.php?f=17&t=88836. Could you have a look? Perhaps there is an official way we are supposed to use for this. FWIW, I also do not get the new hotkeys on upgrade, even when I deploy everything to /usr and then reboot. This needs to be fixed or else current users won't get the new feature. Somehow there's still a bug. If I make install to /usr from the master branch, Print will call the Spectacle GUI just fine. However with your patch, kded will only print the usual DBus message without the GUI appearing and I have to killall spectacle afterwards. kapillamba4 added inline comments to D9117: Add shortcuts for copying screenshots to clipboard. kapillamba4 updated the summary of D9117: Add shortcuts for copying screenshots to clipboard. @rkflx, There is no need to import spectacle.khotkeys file seperately, Spectacle will install spectacle.khotkeys into /usr/share/khotkeys upon installation itself. @kapillamba4 Thanks, I'll look at it in a bit. Are you still planning to open a new Diff against Klipper, or should someone else? kapillamba4 added reviewers for D9117: Add shortcuts for copying screenshots to clipboard: rkflx, ngraham. wow, it works. Didn't knew that klipper had this option. Should have read the klipper handbook first. Thanks @rkflx, all six shortcuts work now, no need to use any external program. We should change the default checked state in klipper settings for 'ignore images' to unchecked. Sounds great, and I would approve of that. Could you open another revision to do this? Thanks! By multiple connections do you mean multiple instance of the application? If yes then we can change the StartupOption for KDBusService, but i don't see any of these 6 shortcuts creating multiple instance of this application. @kapillamba4 If I uncheck "Ignore images" in Klipper's settings (it's checked by default, but why? ), clicking on Copy To Clipboard and closing Spectacle afterwards allows me to paste the screenshot. Could you check whether it works then with your patch via DBus too? I think i will not be able to implement copy image to clipboard feature myself even after reading xclip source code, i had no idea of X11 or wayland before this. And yes there is a danger of making multiple connections (for non-gui/copy-to-clipboard shortcuts), i have just tested it. I think there must be someone workaround for this, I can look for it but i am not sure about implementing the copy image to clipboard feature for x11 myself. I tried using xclip for this awhile ago. We can add this feature by using QProcess and starting an external process but xclip needs to be installed for this to work. klipper does not seem to support copying images over dbus. kapillamba4 planned changes to D9117: Add shortcuts for copying screenshots to clipboard. kapillamba4 added a comment to D9145: Correct margin for left sidebar. Latest version LGTM. Thanks a lot again for your patch. kapillamba4 updated the diff for D9145: Correct margin for left sidebar. kapillamba4 added inline comments to D9145: Correct margin for left sidebar. I think I found a way to fix the problem properly. Here we go, fixes submitted for review in D9281 and D9282. Looking at the other toolbuttons, I saw they worked fine. Then I added some text to the zoom buttons in the status bar and even wrote a test app with only some buttons in different layouts, all working fine. The only explanation left was that there had to be a bug somewhere, meaning it was not Gwenview's fault. And indeed, switching styles the problem happened only with Breeze and Oxygen. But still all other toolbuttons worked fine, how could that be? 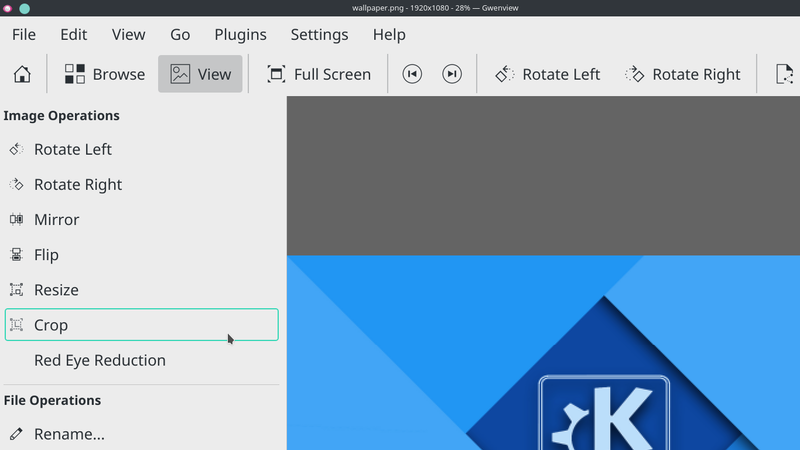 Only by chance I stumbled upon the _kde_toolbutton_alignment property in GammaRay. Tracing this one back was not straightforward, but I ended up in Breeze. Seeing the special casing for Gwenview there was quite a suprise, to say the least. One git blame, some code reading and thorough testing later the patch was ready. Depending on what you refer to with "container", the title might have double margin now? Just try it, I guess. If you want to keep the ui file, I would be okay with that. But instead of the margin setter call at least add a comment to that effect at a similar place in the code. Does klipper support non-text clipboard data? If so, you might consider storing it there rather than in the X11 clipboard. kapillamba4 retitled D9145: Correct margin for left sidebar from Correct margin for Left Sidebar for gwenview. to Correct margin for Left Sidebar and fix icon placement in Sidebar buttons for gwenview.. I actually don't think text input widgets look bad with or without margin. Also, I guess you are still working on the margins of the text input widgets as per my comments? Thanks, I'll look at your updates in a bit. Meanwhile, please let us know which email address should be used when landing this patch on your behalf. The space between icon and text now looks much narrower than without the patch. I think it was just fine in an unpatched Gwenview, it is only the left margin which needs tweaking. Note that in my screenshot I set the toolbar icon size to "small" to match the sidebar buttons. You can use pixeltool-qt5 or gammaray to make measuring easier. As for the summary, please don't just repeat the title ;) Write what was wrong (i.e. section header text as well as buttons too close to edge of window when setting window borders to "none") and what fixes this. kapillamba4 updated the summary of D9145: Correct margin for left sidebar. @ngraham , @rkflx does this look good? This is a test notification, sent at Sun, Dec 3, 6:56 PM. This is a test notification, sent at Sun, Dec 3, 6:55 PM. 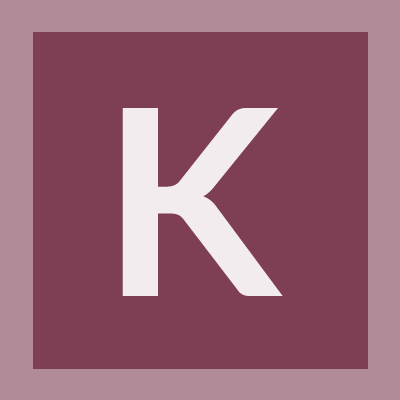 kapillamba4 retitled D9145: Correct margin for left sidebar from Correct margin for Left Sidebar and fix icon placement in Sidebar buttons in gwenview. to Correct margin for Left Sidebar and fix icon placement in Sidebar buttons for gwenview..
kapillamba4 retitled D9145: Correct margin for left sidebar from Correct margin for Left Sidebar and fix icon placement in Sidebar buttons to Correct margin for Left Sidebar and fix icon placement in Sidebar buttons in gwenview..
most of the "margin" values seem to be zero. kapillamba4 created D9145: Correct margin for left sidebar. kapillamba4 created D9117: Add shortcuts for copying screenshots to clipboard.